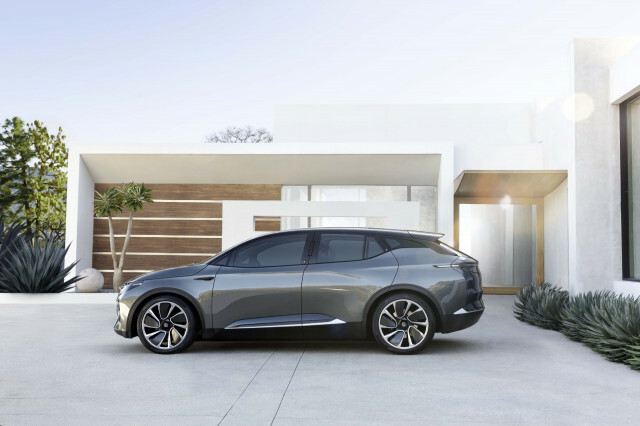 The China-based electric vehicle maker Byton brought a close-to-production prototype version of its M-Byte SUV to the 2019 Consumer Electronics Show this week. The debut of the vehicle, still headed for a starting price of around $45,000 and an available driving range of up to 325 miles, marks another step toward production for what was one of the surprise stars of last year’s CES show. Prior to last year’s show, few had heard of, Byton. 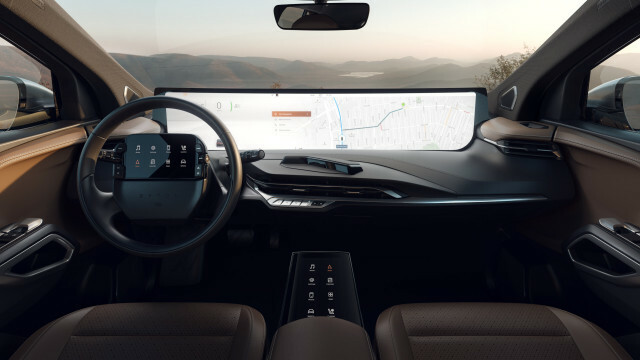 And in all fairness, the real star of the show wasn’t the vehicle (then just called Byton Concept) so much as what it called the Shared Experience Display—a massive 49-inch screen tamed with gesture controls—and an elaborate, detailed proof-of-concept presentation to CES attendees and media. Much of the Concept’s screen actually worked, and responded well to gesture controls, as demonstrated. It was what amounted to an effective distraction, at an electronics show, from the fact that the rest of the vehicle was still very much a cobbled-together concept car, with roughly a year of actual vehicle development underway. What a difference a year can make. This year Byton reported at CES that the M-Byte, as it became called, is currently in prototype testing, and it brought the close-to-production prototype to CES 2019 with some significant tweaks—to the cabin design especially. In addition to all the screen real estate that’s already accessible to those in front, Byton has added a new tablet-style screen between the driver and passenger, while keeping and redesigning the steering-wheel screen that serves as a small control tablet. Two big screens bring entertainment and other functions to rear-seat passengers, and face-recognition functions automatically recall personalized settings; directional microphones will accept voice inputs separately from each passenger. Otherwise the dashboard itself has been given more of a wrap-around design, with pragmatic concessions like climate-control vents and hard buttons added to the center-console area. That said, the concept-car-style front seats still swivel 12 degrees, to allow those in front to converse, when the car isn’t in motion (or at some point in the future, when an autonomous mode is activated). And Byton says that the screen will meet crash standards in all target markets. Byton is working on a Level 4 autonomous-driving system, but the M-Byte will only launch with some driver-assistance features (smart cruise control and limited steering assist). The company states that it “aims to create a premium brand rooted in China which has a global reach.” It has an impressive roster of executives from BMW, Tesla, Apple, and Google, and it emphasizes its international building blocks. The carmaker is building an assembly plant in Nanjing, China, with production equipment from Japan and Germany. The company’s strategic investors include Chinese automaker FAW, Chinese battery giant CATL, and key suppliers such as Bosch, BOE, and Faurecia. 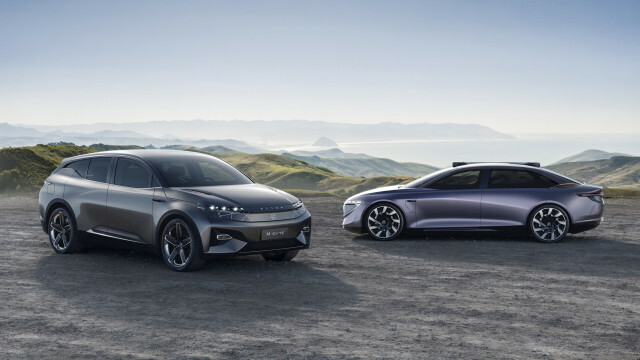 Byton revealed its first drivable prototype of the M-Byte just last year and, in concept form, the K-Byte, an electric sedan that it plans to follow the M-Byte. In what has to be one of the tightest timelines yet, for from-scratch development of a vehicle intended for the U.S. and Europe, the company is targeting mid-2019 for the debut of a production version of the M-Byte, with a mass-production start at the end of the year. If all things go right, and the company avoids Faraday Future–style drama, it could reach the U.S. sometime in 2020.